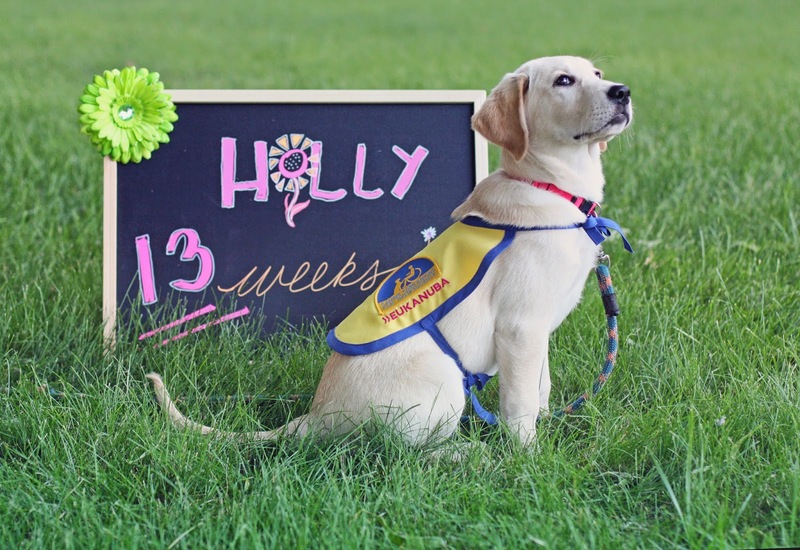 We interrupt a period of puppy goofiness, to bring you Holly and her Serious Face. This is her being serious. Thirteen weeks old now. She's growing into those ears quite nicely, isn't she? Now she needs to schedule a growth spurt to catch up with that foot long tail of hers. Hi Bailey, thanks for stopping by. Happy WW to you! I do think she's getting the hang of this. Happy WW to you, Sugar. You know what she's taking seriously? That cookie hovering above her noggin. The husband is just outside the frame waving a dog biscuit like it's a toy airplane or something. We suspect the neighbors stopped being entertained by us somewhere around three dogs ago. Hi Kaitlin, thanks for stopping by. Happy WW to you! 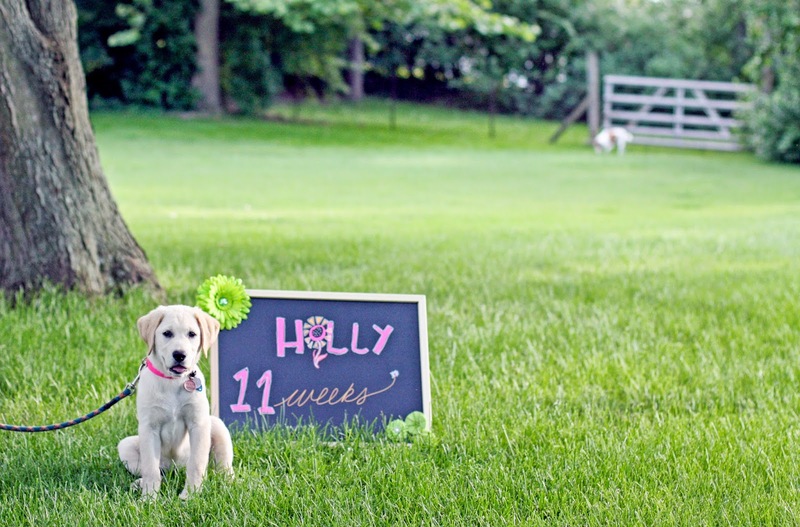 Holly is absolutely adorable. Congratulations! So how long do you think she'll get away with things just by being stinkin' adorable? I don't know the answer to that myself, but I can say it's at least three months. Oh my gosh, the serious face is just adorable!! What a great dog model. Priceless. When I look at this photo, she seems so much older than thirteen weeks. But she is indeed a tender twenty pounds or so. Thanks for coming by the dog blog on WW this week! I wish I could claim the idea, but I am not that clever. 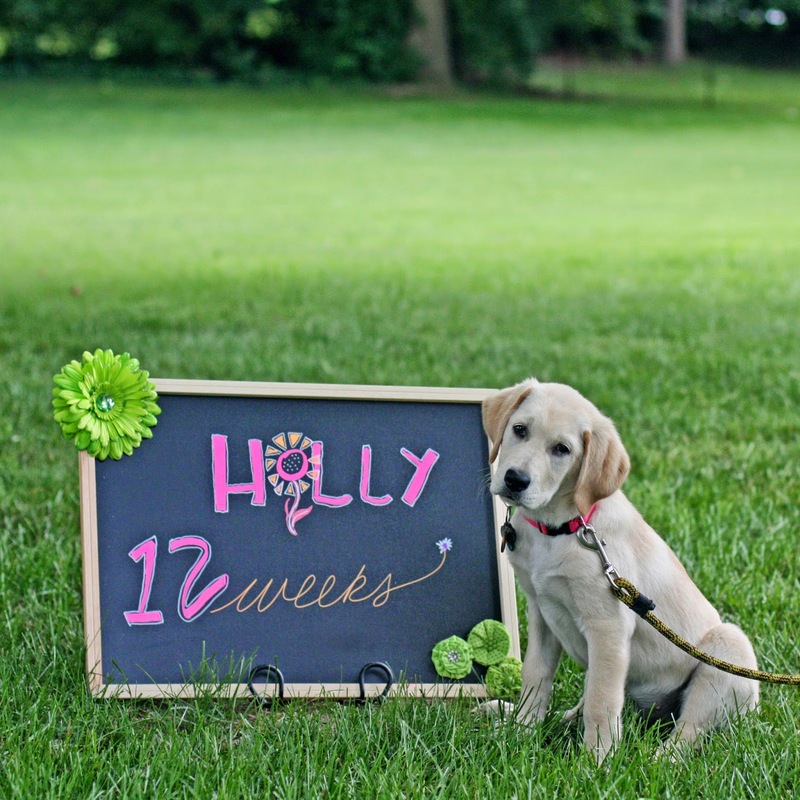 I was inspired by other puppy raisers who were doing the chalkboard idea with their pups. Now let's see how long I can keep this up.